MONTHLY FOCUS: God is with me. This month we are learning, “God is with me.” Whenever we are scared, we can remember that we don’t have to be afraid because God is with us! 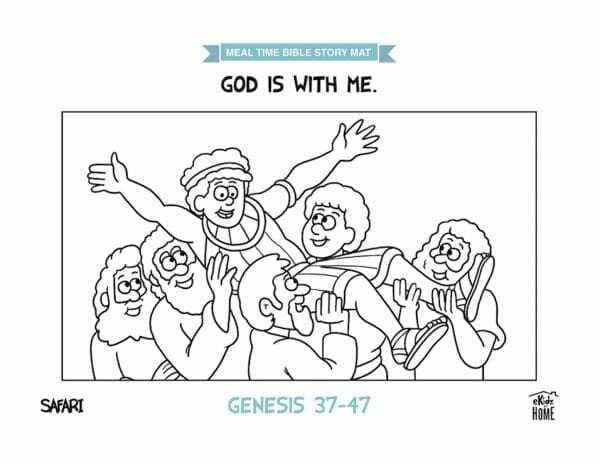 We will learn, “Joseph’s Story,” in Genesis 37-47. When Joseph’s father gave him a special, colorful coat, his brothers were angry and they put him into a deep, dark pit. Then, they sent him far away where he was put in jail for something he didn’t do. Even when Joseph was in the pit and he went to jail after his brothers sent him away, he didn’t have to be afraid because God was with him the whole time. We don’t ever have to be afraid, because just like God was with Joseph, He is always with us, too!